This week Pargo officially partnered with The Body Shop, growing the pick-up point network to over 1500 retail stores across South Africa. 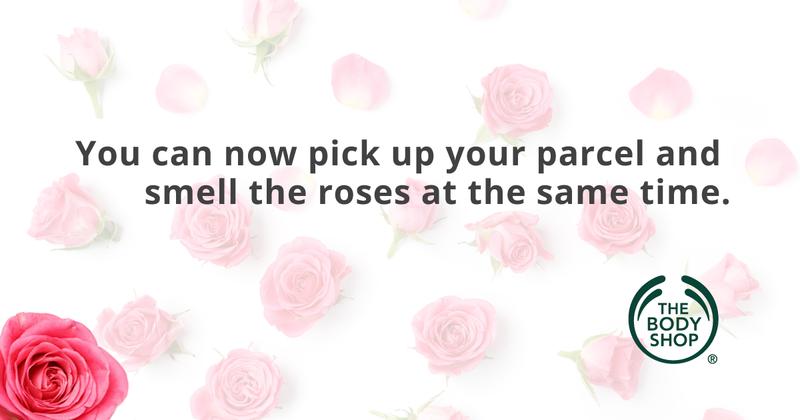 This new partnership enables customers to use The Body Shop stores around the country to conveniently send and collect Pargo parcels while on-the-go; a dream come true for makeup junkies and bubble bath enthusiasts. Most shopaholics already know that they can shop online from their favourite e-commerce sites, then use Pargo’s click-and-collect delivery to pick up their parcels from Pargo Points in popular retail stores. Alongside Clicks and Freshstop at Caltex, The Body Shop is the latest addition to Pargo’s growing list of convenient locations where customers can drop-off and pick-up parcels in conjunction with daily tasks. We endeavour to partner with relevant locations to provide convenient pick-up points to suit every lifestyle. That’s why we are very excited to be working with renowned global beauty brand, The Body Shop, to offer an elevated parcel delivery and collection experience to our customers. Pargo created an extensive network of accessible drop-off and pick-up points as a solution to a growing e-commerce trend in South Africa and a lack of reliable delivery options. According to Pargo Founders Lars Veul and Derk Hoekert, “Delivery is recognized worldwide as a friction point and major deterrent in e-commerce and it is a key enabler for the growth of the Internet-based economy.” In South Africa many people live in rural areas and delivery is challenging, or they have trouble receiving parcels at work, or they miss the delivery if they are not home. Pargo aims to break down these barriers to online shopping by providing a reliable alternative to traditional courier services, and this begins with a vast network of convenient locations to suit every lifestyle. The growing network of Pargo Points not only eliminates the frustrations of traditional delivery services but it allows busy people to combine tasks on-the-go with flexible hours, as most pick-up points are open 7 days a week and some even 24 hours. The ability to take control of their time, in order to maximize productivity, is a huge incentive for life hackers who want an intuitive, fast and enjoyable experience. Likewise for Mums on the move, ticking off the grocery list and running errands no longer needs to be stressful as The Body Shop now offers the ideal solution for sending and receiving parcels. These busy ladies can now combine their daily tasks with taking some me-time to indulge in the heavenly scents and cosmetic products available. The continued expansion of Pargo’s pick-up point network to provide reliable and flexible delivery to busy people nationwide is a great sign for the growing e-commerce industry in South Africa. We look forward to future partnerships that will continue to make parcel delivery and collection an enjoyable and hassle-free experience for our customers. If you’re interested in partnering your business with Pargo, contact info@pargo.co.za for more information on how to become a Pargo Point.